Product prices and availability are accurate as of 2019-04-17 15:35:20 UTC and are subject to change. Any price and availability information displayed on http://www.amazon.com/ at the time of purchase will apply to the purchase of this product. 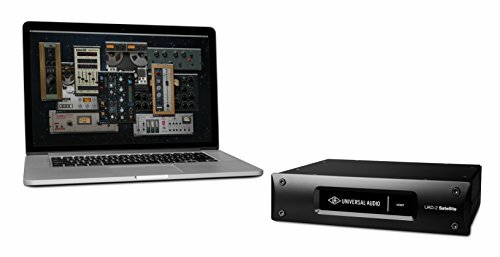 Get the rich analog sound of UAD Powered Plug-Ins over Thunderbolt. 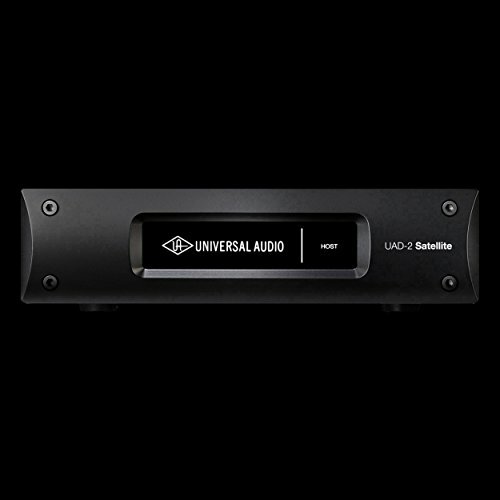 The UAD-2 Satellite Thunderbolt QUAD Core DSP Accelerator provides professional manufacturers and engineers quick, high-powered access to prize-winning UAD Powered Plug-Ins. This streamlined desktop system works with all Thunderbolt based Macs, and can supercharge Apollo interfaces and other UAD-2 DSP Accelerator systems to run larger mixes fulled of rich analog emulation plug-ins. In developing UAD plug-ins, Universal Audio's DSP engineers work with the initial hardware makers - utilizing their exact schematics, golden units, and experienced ears - to give you all the warmth of classic analog devices. The UAD-2 Satellite Thunderbolt QUAD Core consists of 4 SHARC processors, and its Thunderbolt 2 technology offers minimized plug-in latency compared with Fire wire 800. 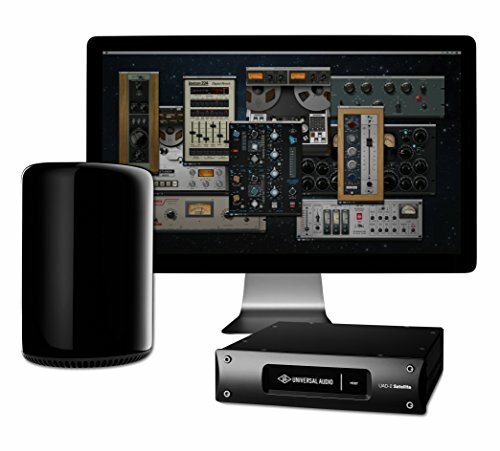 The UAD-2 Satellite Thunderbolt QUAD Core comes with UA's "Analog Classics Plus" plug-in package, and offer access to more than 90 plug-ins from brands including Ampex, Manley, Lexicon, EMT, Empirical Labs, Neve, Roland, Fairchild, Pultec, Studer, SSL, and more (sold individually). "Analog Classics Plus" plug-in package features the UA 610-B Preamp & EQ, and Legacy editions of the LA-2A Classic Audio Leveler, 1176LN/ 1176SE Classic Limiting Amplifier, Fairchild 670 Tube Limiter, Pultec Pro Equalizers, UA Precision Enhancer Hz, CS-1 Precision Channel, and Real Verb Pro plug-ins Minimum System Requirements: Apple Mac with offered Thunderbolt or Thunderbolt 2 port; Mac OS X 10.8 Mountain Lion or 10.9 Mavericks; Internet connection to download software and license UAD plug-ins; Compatible VST, Audio Units, RTAS, or AAX 64 plug-in DAW software; 4 gigabytes offered disk space; VST, AU, RTAS, AAX 64 assistance Thunderbolt cable television sold individually.